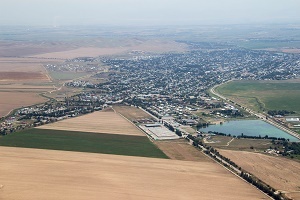 Kyrgyzstan is a landlocked transition economy. The 2017 UNECE Regional Report on Trade Facilitation and Paperless Trade Implementation shows that there is wide scope for improving Kyrgyzstan’s export competitiveness and market access, both regionally and globally. To help realize this potential, UNECE is supporting Kyrgyzstan in its efforts to remove bureaucratic bottlenecks and build local capacity to play a bigger role in regional trade. Jointly with the Ministry of Economy of Kyrgyzstan and the Eurasian Economic Commission, UNECE has been conducting a series of workshops for different stakeholders including government officials and traders, with a special focus on women entrepreneurs. Based on the recommendations from the 2015 UNECE study on Regulatory and Procedural Barriers to Trade in Kyrgyzstan, UNECE is also assisting the country with its obligations under the WTO Trade Facilitation Agreement. While everyone knows about climate change and carbon footprints, few people are aware of nitrogen pollution, the nitrogen cycle and the impacts of its imbalance. 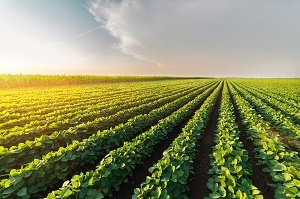 In some European countries, over 40 per cent of air pollution-related mortality can be attributed to emissions of nitrogen compounds from agriculture. Indeed, nitrogen pollution remains a major unresolved challenge, not only in the UNECE region, but globally. For this year’s World Environment Day celebrations in New Delhi, India, the Co-Chair of the Task Force on Reactive Nitrogen under the UNECE Convention on Long-range Transboundary Air Pollution (Air Convention) discussed the achievements of the Convention in reducing nitrogen emissions in the UNECE region through legally binding emission reduction targets. This was also a chance to highlight how experience and lessons learned under the Convention in the UNECE region can help other regions in finding their regional solutions to the problem of nitrogen pollution. 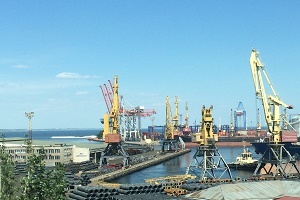 The Port Community System (PCS) in Odessa, Ukraine, is a success story for trade facilitation. Launched following UNECE capacity-building seminars in 2010 and 2011, its achievements include estimated annual savings for businesses of approximately 190 million USD and reductions in the processing time of goods and vehicles in seaports from 15 hours to 2.5 hours. These were among the successes highlighted at the eighth annual UNECE seminar, held recently in Odessa, at which experts also made the case for more thorough implementation of international standards for data harmonization and information exchange. The seminar resulted in a number of practical recommendations to deepen trade facilitation work in Ukraine and other countries. UNECE has been collaborating with Ukraine on trade facilitation in a number of areas, including the development of a Single Window system, and the establishment of a national trade facilitation body. Knowing where air pollutant emissions are coming from is important for making viable policy decisions. While air quality in the UNECE region has improved over the past few decades as a result of integrated air pollution management strategies developed under the UNECE Air Convention, progress has also been uneven across the region. 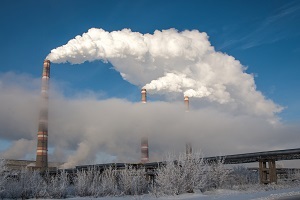 In particular in Eastern and South-Eastern Europe, the Caucasus and Central Asia, strengthened efforts are needed to reduce air pollutant emissions. UNECE has therefore been assisting countries in the subregion to develop better emission inventories with a view to facilitating their ratification and/or implementation of the Air Convention and its key protocols. This week, a workshop held in Yerevan, Armenia, focused on supporting national experts in the calculation of emissions using internationally agreed methodologies under the Convention. This will help Armenia comply with their reporting obligations under the Convention. Improving transboundary water cooperation across the world requires constant dialogue and discussions between countries to exchange good practices, lessons learned and progress achieved. 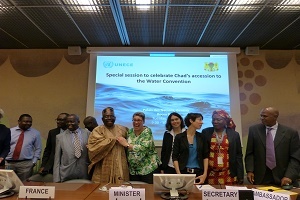 In this regard, on 28-30 May, the second joint meeting of the Working Group on Monitoring and Assessment and the Working Group on Integrated Water Resources Management was held under the Convention on the Protection and Use of Transboundary Watercourses and International Lakes (Water Convention).